Forget the sock monkeys and the finger puppets. You can find more creative gifts for stocking stuffers and holiday bashes if you just raid your local purveyor of quality food. 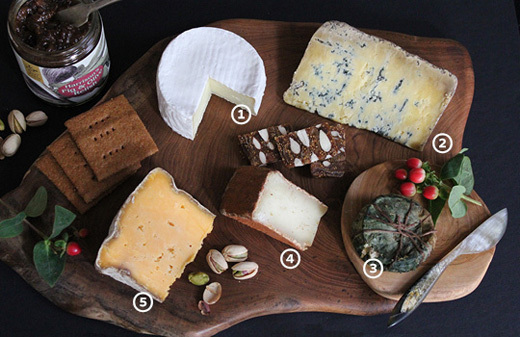 Pair a local cheese with artisan crackers, jam, chocolates or spirits, and you’ll be the person whose name everyone wants to draw for next year’s white elephant party. Here are five local hunks that can round out a gorgeous board or be given separately with divinely edible schwag. Find more cheese wisdom at MadameFromageBlog.com. This story is from page 34 of our Countdown to the Holidays feature in our December 2013 issue.